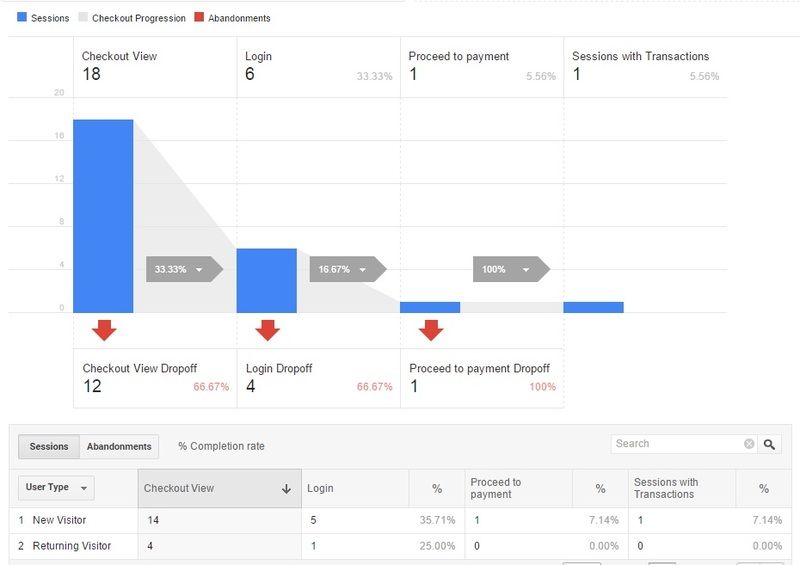 Enhanced Google Analytics for eCommerce is a great way to leverage the capability of tracking your sales, conversions, and shopping cart sales and product analytics using Analytics. LCS provides eCommerce analytic integration for WordPress, WooCommcerce, Shopify, and other CMS platforms such as Magento and Dot.Net. Do you need an integrated sales funnel, enhanced eCommerce data, and standard GA reporting? 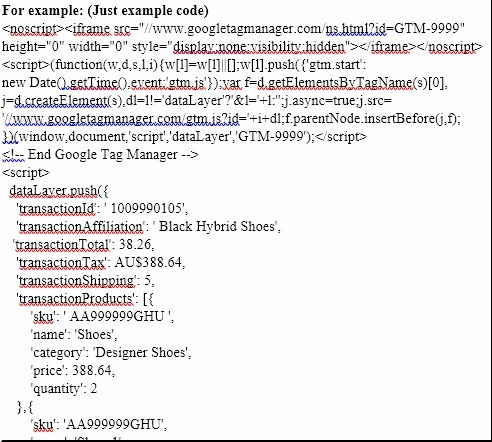 This reporting technology is to be used in conjunction with Google Tag Manager and with correct implementation of the relative Google Universal Analytics Tag Manager code. We can implement via the manual method if you have a non-standard CMS or via Google Tag manager if you want to have future access without the employment of a developer. Step 2: Add the Google Analytics Tracking code to the receipt page in the EC site, the page you see once a product has been purchased. Step 3: Setup and integrate the data layer into the receipt page so we can report on the following – see image below. 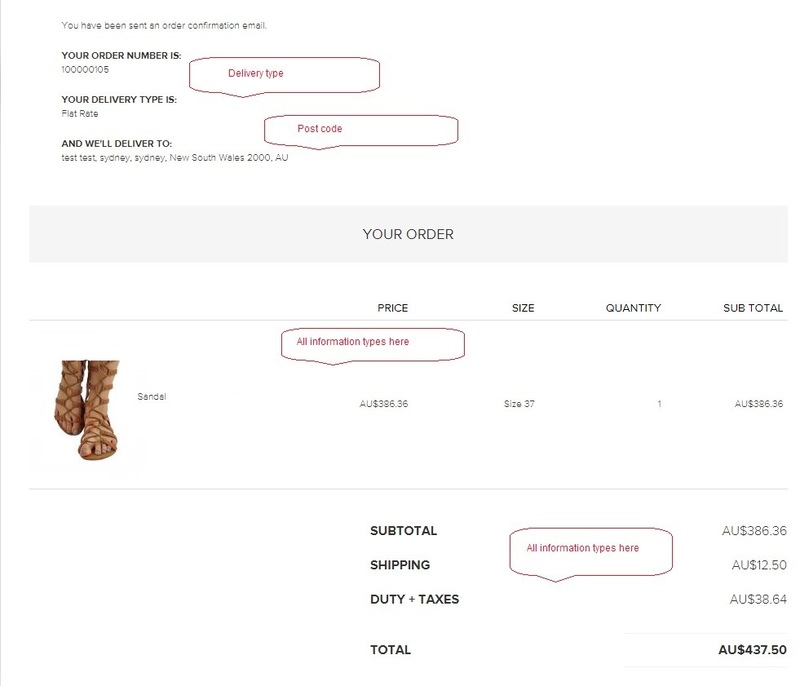 Once this is setup you can log into your Premium Analytics account and see the results under the eCommerce tab from your checkout cart and online product sales. If you need shopping analysis reporting, behaviour analysis reporting, progression and abandonment reporting, checkout behaviour reporting do not hesitate to call LOW COST SEO for your data analytics reporting or enhanced setup. When you contact us we will review your setup and provide a custom quote for your required solution. We are also happy to work with your developers and thus supply the reports required to get them to implement the solution or we can do it for you as part of the solution. Ask us regarding existing and previous installation for other named brands all over Australia.